This exhibition pairs Johnson's collage and mail art with works by his contemporaries John Baldessari, Lynda Benglis, Chuck Close, Jasper Johns, Robert Rauschenberg, Ad Reinhardt, James Rosenquist, Edward Ruscha, Yoko Ono, Andy Warhol, and May Wilson, providing a window into Johnson's complex verbal and visual language and revealing the ways in which Johnson's work parallels and confronts the work of his fellow artists. Elizabeth Zuba. 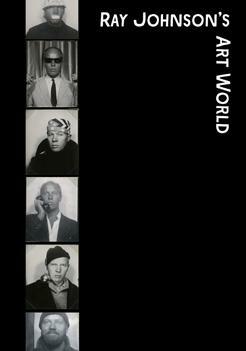 Ray Johnson's Art World. Edited by Frances F.L. Beatty, Ph.D and Diana Bowers. New York: Richard L. Feigen & Co., 2014.